'm in the middle of a backup project to (hopefully) end all backup projects. I noticed at one point this spring that you could buy a 6T drive for $240. This is enough room for me to fit all the backups of all other backups on this one drive, and I could then back that backup on my other previous backup drives. This is not a mentally healthy activity, except that it's making me finally get rid of this neurotic wonder I have about what things I do and do not have backed up over the last several decades of computer use. There are many ridiculous details to this journey, but I'll just mention one here: How I finally got all my 3.5" disks backed up. This is all part of a larger saga where I'm going thru all the media: 3.5" disks, all my old hard drives (SCSI, IDE, ATA and whatever else), CDs, DVDs, EZ-135 drives, Zip 100 drives, and… that it? I hope so. The solution seems simple: Just get a USB 3.5" drive to read old disks, pop them in, copy them to the drive, sort it all out later. Only it turns out that the USB drives you can buy on Amazon aren't that great. They often fail to read drives that are older than the late '90s. I have disks that come from the days of the Apple IIGS, DOS, Windows 3.1 and MacOS Systems 6.0.3 thru 9.2. I did buy such a drive, but it could only read about 1/3rd of my disks. I have maybe 200 or so of them. And the thing is, I might have all of them backed up on some of my hard drive backups, but I'd have no idea of knowing this for sure, so I wanted to do one last big scan, archive it, and put them all in deep storage from here. I thought this part would be easy. I have a PowerMac 7500 that works, I'll plug it in, pop the disks in one by one, back up. The 7500 used to be my Rhapsody server for this site for years, and should be up to the job. But, I kinda accidentally killed the whole computer because I didn't realize what a fragile state it was in. At least I think I killed it. I keep trying to revive it. At any rate, I couldn't just quickly use it like I planned. So, I tried a bunch of the old computers that I have here to see which one had a working drive that could also read all the formats. Note: Friend of the show and fellow disk archivist, Vivek, asked me whether I was making disk images or not. Since I'm just trying to save personal data here, I just copied the contents of the disks. But I also have lots and lots of system and application disks. (System 6 & 7.x, A/UX, AWS, and related tools.) Those disks should probably be backed up by making disk images out of them. This turned out to be non-trivial. My Fat Mac and Mac 128 weren't up to the task. And I found that 2 of my old Macs had drives that were simply broken and I hadn't realized. I dug out a PowerBook 520, but then the metal shield of a disk broke off in the drive, and I couldn't get it out, so this computer couldn't be used either. But the 520 was having a hard time reading any PC disks anyway. 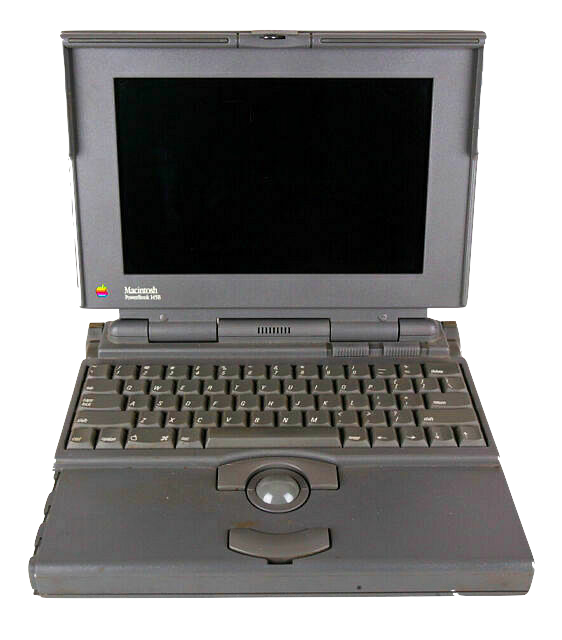 The savior turned out to be the lowly PowerBook 145b. It could read anything I threw at it. Drive worked great. It only had System 7.1 on it, but this combo seems to be the Rosetta Stone sweet spot of reading 3.5" disks. The problem was how to get files from the 145b to my MacPro running Sierra. They don't use the same version of the Apple File Sharing protocol, which stopped working with old machines long ago. I recently got a new power supply for my PowerBook 3400c, and that seemed to be able to talk to newer machines to some degree, so I figured, ok, get the disks to AppleTalk to the 3400c, and then figure it out from there. (My 3400c has no disk drive. I'm not sure if this is standard or not.) So this was most of today: Popping disks in the 145b, AppleTalking it over (via the serial port connector) to the 3400c. Very straight-forward. Out of that stack of ~200 disks, only 5 couldn't be read. But getting them to the MacPro proved to be the hard part. I have the 3400c on the internet just fine. By turning back the clock, I can run iCab or WannaBe browsers, and I can FTP to my other Macs. But the FTP transfers strip out resource fork information which causes trouble later when I want to read old Classic Mac files. I wanted a pure AFP (Apple Filing Protocol) transfer solution. Note: I could have used something like Stuffit to package up files, fired up a copy of an FTP client like NetFinder (you need to roll back your date if you want to avoid a shareware timeout notice), and then safely copy out the files, but on a Mac as old as the 145b this would have taken me significantly more time than the technique described in this article. My MacBook Air with Snow Leopard on it was actually too recent an OS to be able to use AFP with. After some searching, I decided Mac OS X 10.4 Tiger had the best shot of being a middle-Mac OS to get the files around my local network. 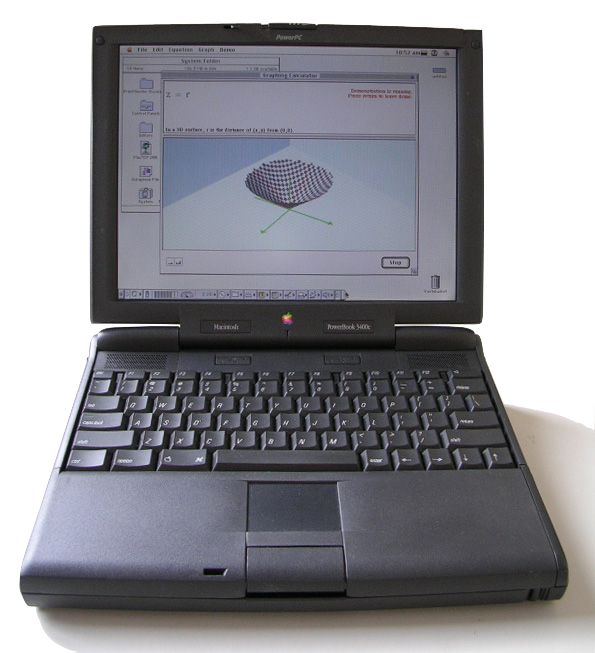 I had no Mac with Tiger on it, but I had a PowerMac G4 that was untroubled by any troubles of aging ready for duty. … If you are reading down this far, you are also either trying the same thing or also have too many old computers in your life like me or both (or a student of abnormal psychology). It turns out the File Sharing you do from a Tiger box can be seen by both Mac OS 9.1 and by macOS 10.12, giving you a wingspan of about 20 years. I had both the 3400c and the MacPro attach via ethernet (only the MacPro has wifi out of those 3 machines anyway), and sure enough I was able to bounce the files from the 3400c to Tiger on a PowerMac G4 blue+white tower, then read it from the MacPro. But it wouldn't have worked without the excellent advice on this Classic Mac Networking page. In particular that bit about "defaults write" was the magic ingredient that made all the machines see the Tiger's AFP share. In sum, I was lucky that I even had a machine that could read all the kinds of disks I still had, lucky that I had all the right cabling, an old Tiger install DVD for the PowerMac G4, and a big enough IDE drive to install it on that I wasn't using. One missing ribbon cable and I don't know how I'd have gotten this to work. But it worked, and, universe-willing, I'll never have to read those disks again. All told, it sucked up a whole day's time that I probably should have been doing something else. FWIW, 3.5" disks statistically seem to fare better, percentage-wise, than hard-drives or DVDs, as far as long shelf life without problems reading them later goes. Out of the 30 or so hard drives I've had, about 10 of them are dead now, and DVDs don't seem to do much better ten years later. I'd hate to know what I lost by only backing up things on there once. Or … it's probably not a problem because I have so many multiply-redundant backups of everything. The amount of redundant backups I have is troubling, though it seems fairly common, based on speaking with friends. I think I have a solution, but it's for another post. I hope this post was interesting, or at least a story that makes you happy you didn't bother with something like this yourself.